One of the most frustrating things for some web publishers is exactly how they’re going to get their sites onto mobile devices. Some choose to go with a native mobile app, meaning that a mobile app is created for each smartphone platform from scratch for the site. Others choose to use WordPress plugins or other competing platforms. We’re fortunate that our site scales to mobile nicely. Seattle startup WompMobile is hoping to make the process much easier for their web publishing clients. WompMobile uses their own proprietary design engine to scale a desktop website to mobile maintaining the integrity of the desktop design. They promise to make “going mobile easy”. While their process takes just under ten days, once the WompMobile team has run your website through their engine, every update the publisher makes to their website is instantly updated on the mobile version. Madison Miner the company’s founder, says that their secret sauce is in their conversion engine. Things like fonts, styles, and branding remain consistent from web to mobile and the publisher doesn’t need to sacrifice their web presence by using a generic mobile format. We got a chance to talk to Miner about WompMobile and the Seattle startup scene in the interview below. Smartphones have become the most convenient way for people to access the Internet. For every business – large and small – having a mobile website is critical in order to stay connected with customers. WompMobile makes “going mobile” easy. The company converts regular, desktop websites to mobile optimized, making them accessible and viewable on smartphones. 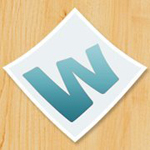 WompMobile uses a patent-pending design engine to convert regular websites to mobile optimized. Just provide us with your web URL – and we do all the work. In less than 10 days, you will receive a custom, great looking mobile website that’s ready to be viewed on a smartphone. Best of all, our mobile websites remain automatically in sync with the regular website. Changes, including text, images and content, made to the regular site are reflected in real-time on the mobile site. You only need to manage one website. Madison Miner is the founder and CEO of WompMobile. Miner has over 10 years in the industry, working as a software engineer and web developer. We are based in Bellingham, WA – a city 80 miles north of Seattle. With tech giants like Microsoft and Amazon based just 80 miles south, our town is very much influenced by the entrepreneurial spirit that put Seattle at the forefront of the dot.com boom. In fact, a group of successful entrepreneurs have made a concerted effort to build a tech community here in Bellingham. They started a venture accelerator called the Big Idea Lab, which WompMobile was the first company to be accepted. How did you come up with the idea for WompMobile? The inspiration for WompMobile started in college. As a student, I tried to balance my passion for snowboarding, while also pursuing a degree in computer science. In order to only skip class on days with fresh powder, I created a program that monitored the snow report and automatically called my mobile phone if the mountain received more than 10 inches. This way, I was able to pick my days wisely. This basic program was the inspiration and the nascent stages of the technology that eventually became WompMobile. This technology allowed me to select any portion from a website – be it images or code – and monitor it from my homepage. Once mobile browsing started to make its charge, it was a natural fit to refocus the technology to selecting content from regular websites to be converted and viewed on smartphones. That’s a long story. We used to be called Womple – and only recently changed our name to WompMobile. We received a phone call from the CEO of a company called Wapple – a 10-year-old mobile app development company based in the United Kingdom. The CEO concluded that our original name, Womple, was too close to his company, Wapple, and asked us to change our name. After conferring with our lawyers, and learning that Wapple had won a 5-year long trademark dispute with Apple, we decided the best route was to in fact change our name. What problem does WompMobile solve? With mobile web traffic projected to increase by 2600 percent in 4 years, businesses need to have a website their customers can easily view and access on a mobile phone. WompMobile provides the easiest and most affordable path to a high quality, custom mobile website. Our mobile websites are polished, interactive and customized for each business. WompMobile enables businesses to track their mobile visitors, integrate social networks, improve search engine rankings and convert mobile visitors into paying customers. Our secret sauce is a patent-pending, powerful mobile design engine. Our technology lets us “mobilize” any website while also retaining its original branding, such as fonts, colors, backgrounds, messages, logo, buttons, and more. WompMobile enables our designers to: a) maintain our client’s brand, b) avoid having to build a HTML mobile website from the ground up, and c) eliminates the need to settle for generic mobile templates. Our clients receive a mobile website that looks like their desktop site. Being forced to change our name was certainly a challenge. As a start-up, you learn quickly that being nimble – and not being afraid to pivot – is part of building a successful business. One of the smartest moves we’ve made is surround ourselves with mentors. As the first company accepted to the Big Idea Lab – a venture accelerator in our hometown – we’ve learned the value of mentorship. Since joining, the company has made numerous pivots and is in a much better place thanks to the wisdom and experience of our mentors. Our mentors pushed us, told us we were wrong and gave us the reality checks we needed. We are currently focused on finding resellers – creative agencies, marketers and developers – who want to offer mobile website creation as a service. We anticipate tremendous growth in the mobile web industry and our reseller program is a strategic approach to capturing the market. By partnering with WompMobile, resellers can rely on our in-house team of designers to deliver quality mobile websites to their customers. It’s a win-win for us, and our resellers. Santa Monica Startup: DocRun To Challenge Legal Zoom, And Do It Better?